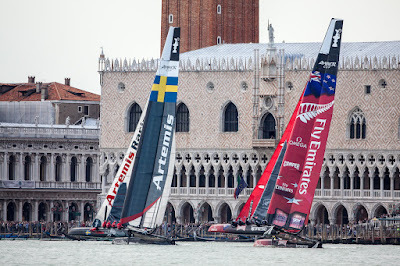 Racing in Venice’s Grand Canal presented a full set of challenges for the nine teams racing in the America’s Cup World Series today. The French and Italian teams flourished, but it was a tough day for Terry Hutchinson and the crew onboard Artemis Racing. 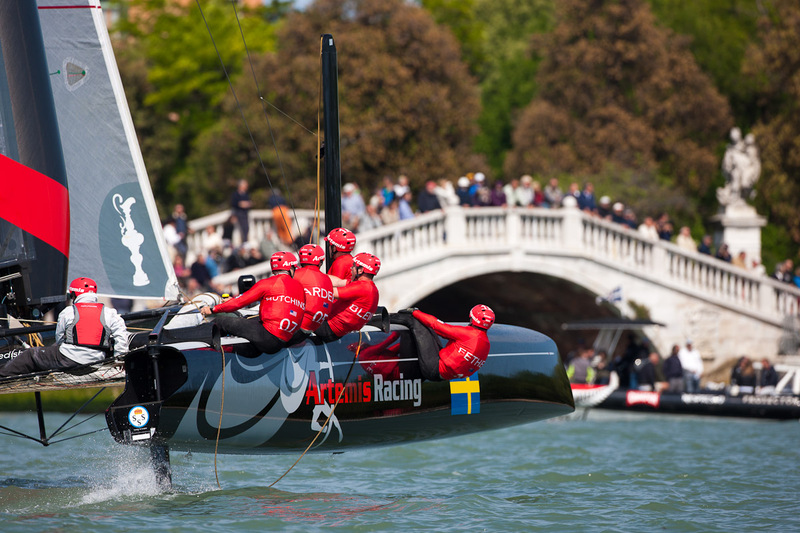 Second row starts in both fleet races translated into two 7th place finishes. Then a clear start in the third ‘spare’ race (which only counts if racing is cancelled on ‘Super Sunday’) the Swedish team took second. “It was disappointing. The fleet is too good and the racetrack is what it is. So if you don’t get away clean, or are a bit unlucky, there are not a lot of opportunities. Once you get your nose out and get clear, the race course becomes a lot easier,” said Hutchinson. “It was a tough day, hard for the guys on the boat. A real whipping! They worked so hard and we are under a lot of pressure out there. There is more to come and therein lies the opportunity. We need to figure out what we can do better to get the boat away clean off the line. The start is everything and there is plenty of room for improvement,” continued Hutchinson. Looking ahead to tomorrow, racing continues in the Grand Canal with two fleet races and the semi-finals for the Match Racing. 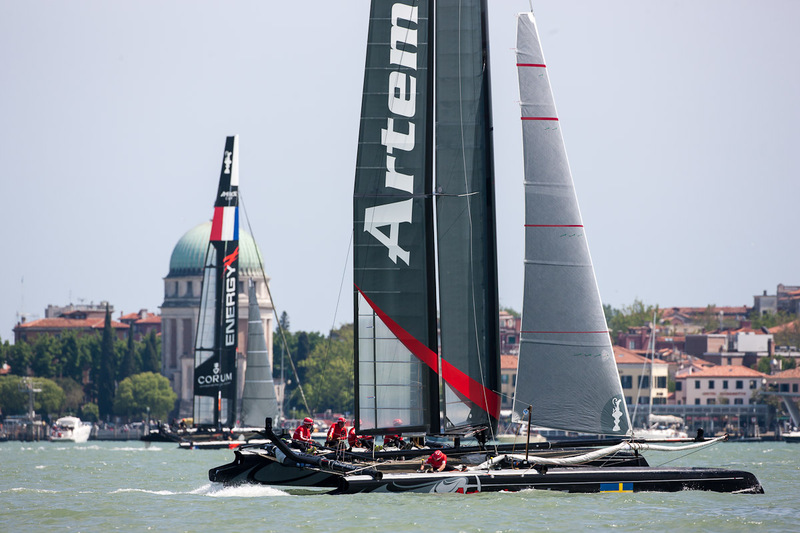 Artemis will line up against France’s Team Energy in the semis. The forecast is for similar conditions with 8-10 knots of wind.